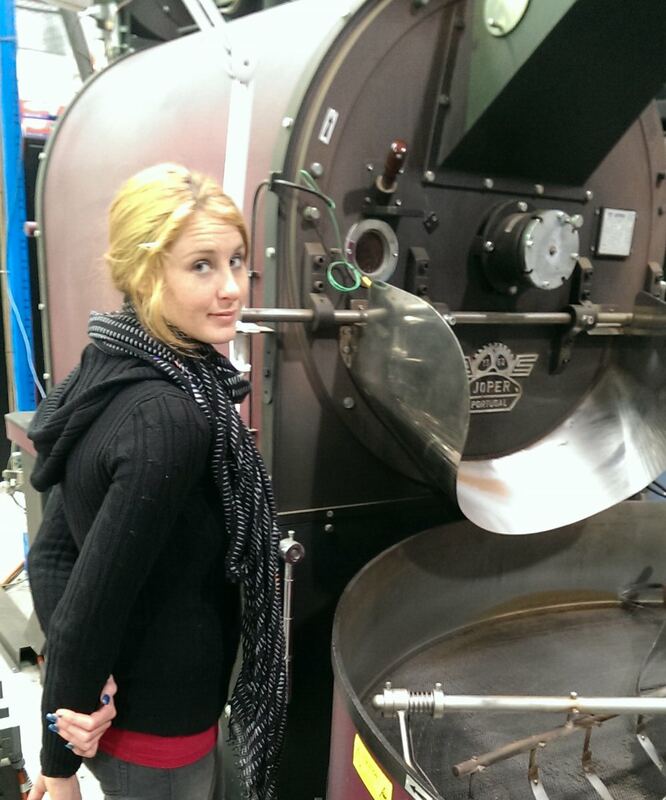 Meet Nicole our singing roaster! Nicole recently completed her training period and now divides the daily roasting with Geoff. Nicole comes from a barista background having worked in the hospitality industry for many years and when the opportunity presented itself to take the next step and learn to start roasting she didn’t hesitate, wanting to further her coffee knowledge. With an Irish and Welsh family background, Nicole was born in Australia and is always heard before seen, she loves to sing and isn’t shy to do so. Often singing along to the radio as she waits for the first crack. Fleetwood Mac and Tracy Chapman are some of her favourites. Besides singing Nicole loves to spend time with her family, in particular her nephews up the coast. Nicole’s addiction… I mean…favourite foods are chocolate and ice-cream… if it’s not her singing it’s the crinkling of a chocolate wrapper being torn open that gives her away. Jumpstart is at the top of Nicole’s list as being her favourite Gourmet Gold blend and loves her dopio latte. At least one purple coloured item of clothing or accessory is almost guaranteed with Nicole. When asked what her favourite quote was, “No pain no gain” sprang to mind being the hard worker she is. Nicole’s next aspiration involves getting into the property market. Good Luck Nicole!